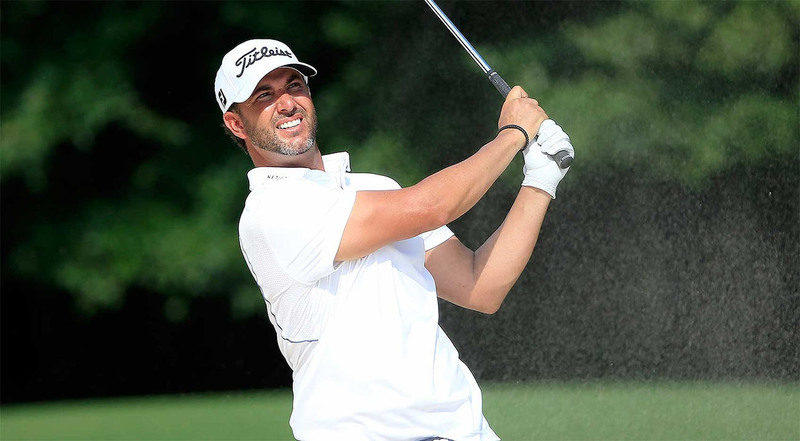 That great American momentum then carried over into the golf world, as Scott Piercy caught the Novak Djokovic of Tennis: World #1 golfer and Australian Jason Day. With a 3-under 67, Piercy is tied with Day atop the WGC-Bridgestone Invitational leaderboard at 5-under. The pair is one stroke ahead of David Lingmerth, and two ahead of Brian Stuard. Despite four career PGA Tour victories, Piercy’s name is rarely mentioned among the current greats of golf. He took a big step towards changing that conversation when he finished a surprising T2 at the U.S. Open just two weeks ago. Now, he’s in position for an even better finish at the notoriously difficult Firestone Country Club. Pierce credited that promising weekend at Oakmont as a catalyst for his contention at Firestone. Piercy nearly held the outright 54-hole lead, and was in solo-first late in the round when he birdied the 17. Unfortunately for Piercy, his second shot on the par-4 18th went over the green and into a bunker. His third shot barely got out of the bunker and was stuck in the rough. He went on to bogey the hole from there. Piercy looked at that bogey positively, however. Day, who led by one going into round 3, and has won 7 of his past 19 events, could consider himself fortunate to be tied for the lead. He hit only three fairways in his round, putting great pressure on his short game to bail him out. Given the position he was in after most of his tee shots, a 1-under 69 is a pretty good result. Day acknowledged after his round that he didn’t have his best stuff. If Piercy or Day want to come out victorious on Sunday, they will have to hold off some extremely talented players. Just three strokes behind is U.S. Open winner Dustin Johnson, who shot a 4-under 66 today. 2011 Masters Champion Charl Schwartzel is also three back, along with 18-hole leader and recent Memorial Champion William McGirt. As difficult as the 18th hole played, particularly for Piercy, it was the 667-yard par-5 16th, nicknamed “The Monster” that inflicted the most damage on the field. Jordan Spieth was at 3-under on the 16th tee, but sent his third shot into the water, bringing back memories of the disaster on 12 at The Masters. He triple-bogeyed the hole, tied for his worst ever professional score on a par-5. A few groups later, Spieth’s close friend Justin Thomas carded a double-bogey 7 on the same hole. Thomas finished the round at even par, and is one-under for the tournament. The final pairing of Piercy and Day will tee off at 2:05p tomorrow. The greens have been near impossible to hit, and nothing indicates that round 4 will be any different. The winning golfer will likely be the one who puts himself in the best position off the tees.